Measured by units, 80 percent of Philip Morris' sales are outside of the United States. 1. Ratify and strongly implement the Framework Convention on Tobacco Control, including by ending all advertising and marketing of tobacco products; ending the use of misleading and deceptive terms such as "mild," "light" and "low"; and instituting large, graphic warnings. 2. Ban the tobacco industry from lobbying or working -- directly or indirectly through sponsored organizations or otherwise -- on any national or subnational legislative or regulatory proposals to ratify the FCTC and/or implement the terms of the FCTC. 3. Ban the tobacco industry from lobbying or working -- directly or indirectly through sponsored organizations or otherwise -- against legislation or regulation requiring 100 percent smokefree places. 4. Exclude tobacco products from bilateral and multilateral trade and investment agreements, so that the tobacco industry can not invoke provisions of such agreements to challenge any tobacco control-related law or regulation. 5. Adopt comprehensive anti-tobacco smuggling measures, at least as stringent as the provisions included in the European Union agreement with Philip Morris settling the EUs lawsuit against the company. 6. Require the tobacco industry to fully disclose all political contributions, lobbying costs, and charitable/educational donations. 7. Require the tobacco industry to fully disclose all advertising and marketing expenditures -- as the company now is required to do in the United States. 8. Ban the tobacco industry from sponsoring "youth smoking prevention programs." * Philip Morris USA is prohibited from paying for product placements in movies and other media by the U.S. Master Settlement Agreement, but this does not apply to Philip Morris International. 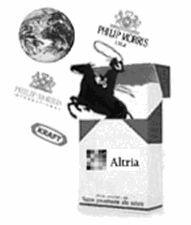 Philip Morris International states in its marketing code that it will not pay for product placement, but it does not address: indirect efforts to facilitate product placement; direct or indirect placement of unbranded tobacco products; or direct or indirect efforts to promote smoking in movies or other media. The four smokefree policy measures are available online at: http://smokefreemovies.ucsf.edu/solution/.